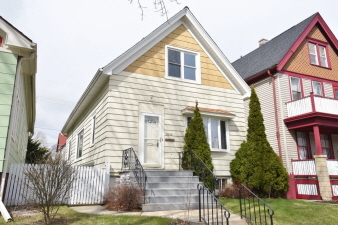 Beautiful move-in ready home conveniently located in the heart of Riverwest. Living and dining rooms have hardwood floors. Eat-in kitchen has butler's pantry. Upstairs find a half bath, master bedroom with loft-style dressing room with skylight, and another bedroom. Newer windows and roof. Partially fenced-in backyard.